The Oculus Cinema app places your virtual-self inside a plush movie theatre where you can watch films until your heart's content, but so far you're the only bugger in there. Not for long, though. 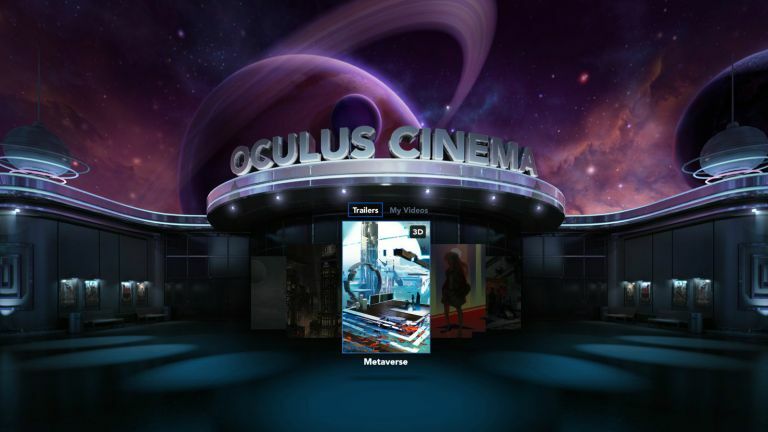 Oculus has a new update in store that will let your friends come to the same screening. Speaking to Road to VR, Oculus creator Palmer Luckey explained that the point of the app isn't to be in a movie theatre alone, instead, "you want to replicate the experience of being in a movie theater or home theater with all of your friends." Luckey went on to talk about a number of social features, albeit there was no word of a popcorn-throwing app. Maybe we're reaching on that one. "We already have a lot of internal social functions in Cinema that are going to be rolling out in the next few months," he said. "Things like avatar systems, being able to communicate with people over long distances… rather than just local multiplayer, but having actual long distant multiplayer as well." The Oculus Cinema app has been available on the Samsung Gear VR from day one, but it's been a lonely place thus far. It won't be too long though before your pals join in. The new social features will be rolled out with the release of the Oculus Rift in early 2016. We're all for it. The idea of a virtual cinema is exciting, a place where you can kick back with mates from different corners of the globe and enjoy the latest movies. It certainly paves the way for a number of Matrix-style hangouts, but which would you like to see? Let us know in the comments or hit us up on Facebook.